This is a Quick and Easy breakfast or tiffin recipe. 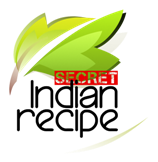 Sai Joshi's Secret Indian Recipe ! Heat oil, add mustard seeds, turmeric and green chillies-ginger-garlic paste. Add boiled mashed potatoes and mix it well. Let it cook for about 5-10 mins. Take bread, do not cut the edges. Dip the slice in little water just to make it moist. Remove excess water from the slice bread by pressing it between both the palms. Place a small amount of potato mixture in the middle of the slice. Now turn the slice from both the sides to cover up. Do this with gentle hands or it may break the slice. Prepare 4-5 rolls. Heat oil well in a frying pan, deep fry the rolls till they turn goldenish brown.